news In a recent speech on ‘Privacy risks and potential benefits in the cloud’, Acting Victorian Privacy Commissioner Anthony Bendall has highlighted some of the privacy concerns with cloud computing, particularly in its use by the local government. 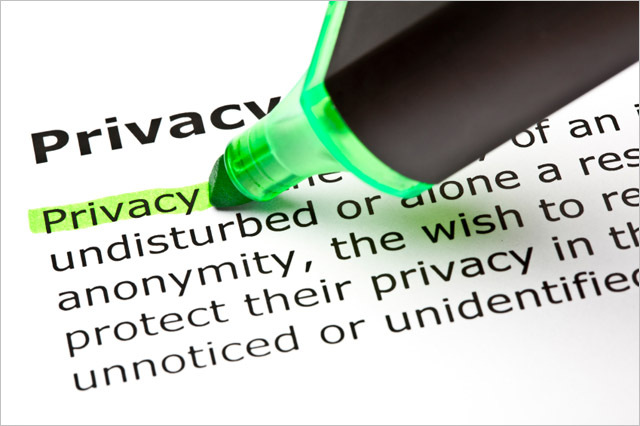 Privacy, Bendall said, was a fundamental right, however, while fundamental, privacy was not an absolute right, as the Information Privacy Act 2000 (Vic) explicitly acknowledged. The objects of that Act included: “… to balance the public interest in the free flow of information with the public interest in protecting the privacy of personal information in the public sector.” The full speech, which was first referenced by iTNews, is available online here as a PDF. Referring to cloud computing as a “juggernaut” Bendall said it was “impossible to stop with individuals, business and government embracing the technology with open arms.” “Cloud computing” is the term used for information technology infrastructure that hosts data or applications in the “cloud” – that is, it refers to offsite, geographically remote software or data storage accessed via the Internet. Data or applications are usually accessed on demand through a web browser. Linking privacy concerns with cloud computing, Bendall told the Local Government Forum in Melbourne that while use of cloud computing services in government was more or less inevitable because of the huge advantages that cloud computing offered – cost, scalability, convenience, and technical support, it was important that privacy concerns be recognized at the foundation and built into the systems. That way, organisations that used cloud computing could be certain that personal information was protected, even while enjoying the benefits that cloud provided. Who actually has my data, and where is it located? Is the service provider owned or controlled by a foreign company? What control does the foreign company have over the service provider? Is the service provider owned by an organisation in a different jurisdiction? Can my organisation audit the cloud provider to ensure they are complying with their obligations? What happens when the contract is terminated? How will personal information the cloud provider holds be destroyed or retrieved, bearing in mind any requirements under public records or archives legislation? Since privacy laws only applied to personal information, some organisations proposed de-identifying anything containing personal information so that it could be stored on cloud servers. In some cases, however, de-identification rendered the information in question useless. There were also risks where de-identification was not done properly and a person could be re-identified easily with sophisticated data matching techniques. Probably makes sense to use a leading cloud provider like AWS or Salesforce, given they are safe harbor and subject to European privacy laws which are commonly regarded as superior to local Australian privacy laws. I agree with you this is old news. servers. And using an off-shore provider for sensitive information storage is the height of stupidity – you would be just asking for your data to be accessed by any half-competent hacker, or agent of a foreign government (such as the US). Good question Ron, it’s fantastic you have the resources to out invest multi $bn cloud providers to ensure your server is more secure, redundant & scalable! I know who i’d rather trust with my data, the experts! You only need to pay for your own server(s) to service your own needs. And host them in your own premises. How hard can that be ? You don’t have to buy the buggers out ! Could you just confirm there is no way you could have any of my data under management please? I highly highly recommend you educate yourself about IT security, for your own benefit and that of your employer and all their customers. I do not have anybody’s data under management. I am not a “cloud” services provider. I do not have an employer, I own the business. And I will never use any “cloud” services, but that is my choice. But my personal and business data is perfectly safe.